Getting away from skyscrapers, busy streets and bustle of major cities. 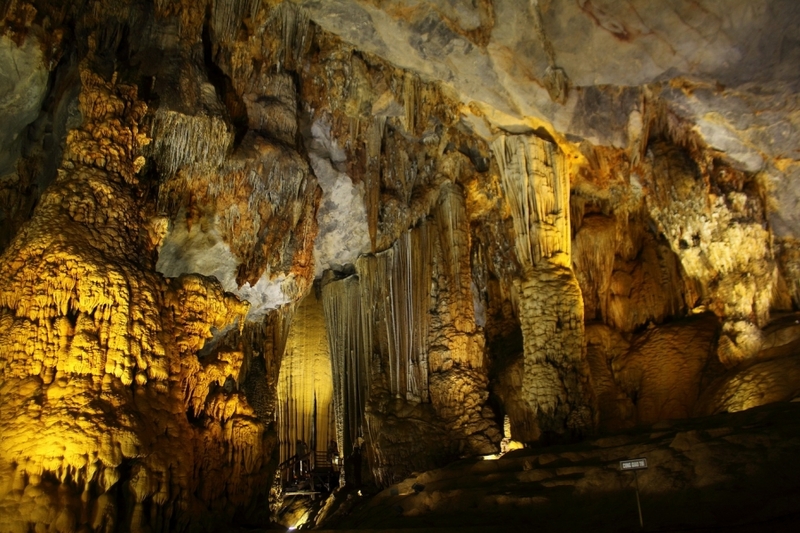 This tour provides you with adventure to the hometown of caves, grottoes in Vietnam – Phong Nha National Park. 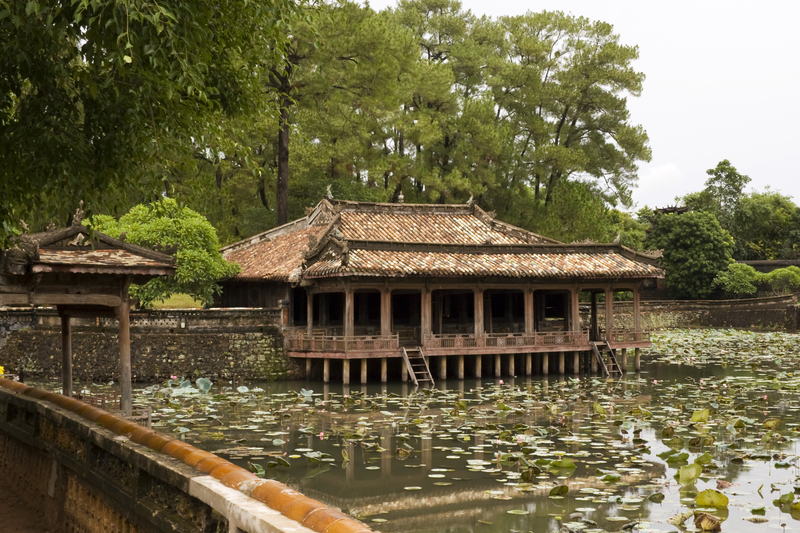 And with romantic landscapes of Hue city from grand palaces, beautiful temples to amazing tombs of Nguyen family. 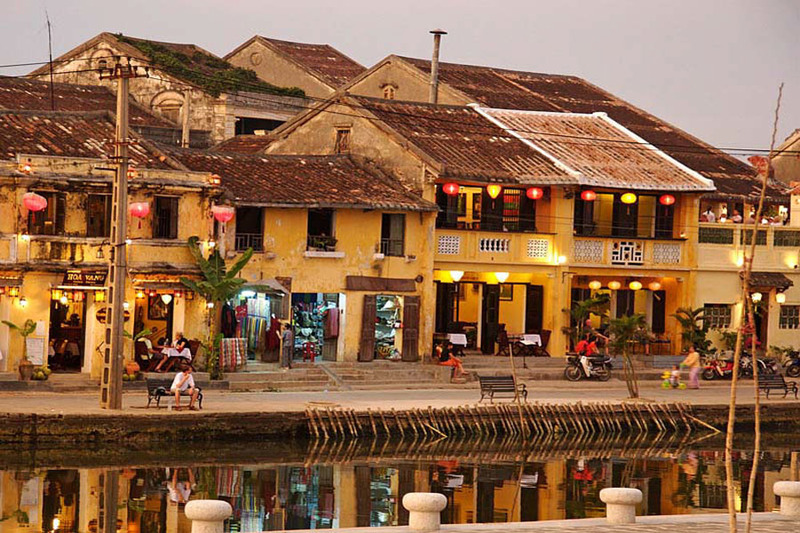 Moreover, a little lovely town by Thu Bon river – Hoi An city that is well known for its narrow streets, restaurants, café, lanterns and tailor shops. Or coming to My Son Holy Land – the most sacred place of Cham people with Hindu temples built dating back centuries ago. All will bring you peace, glory, friendliness, tranquillity of the region. To start up the tour, in the morning, we will come and pick you up at Dong Hoi airport and then transfer you to the hotel for check in. The rest of the day is at your leisure. In the morning, we come and pick you up at the hotel then transfer you to Phong Nha National Park. 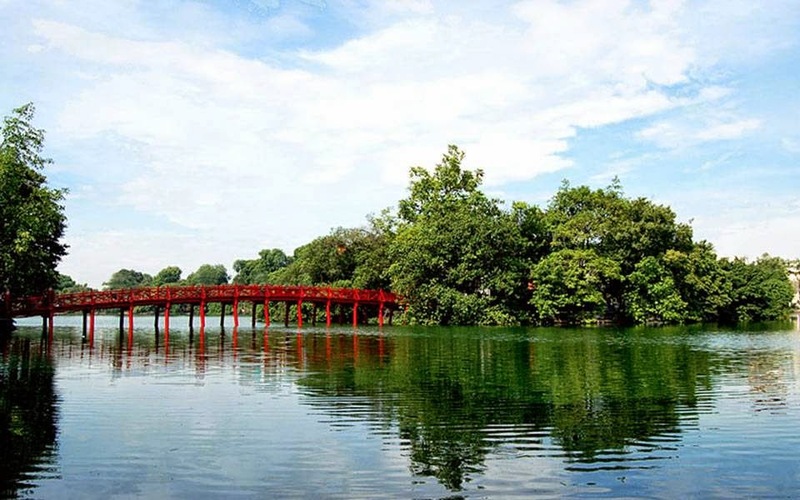 Thus, the park covers an area of around 200.000 ha and it is one of popular tourist destinations in Vietnam. On arrival, we will embark on motor boat to go along Son river to gaze at beautiful landscape of Phong Nha area. Next, when we are reaching the cave entrance, we go inside and the cave is really impressive with lots of stalactites and stalagmites in different figures coming out everywhere. Then on the way out, we get off the boat to walk on sand dunes and we will admire more of the wonder of the nature. After that, we go out then the boat will take us back to the car. Following on the tour is car transfer to Paradise cave, it is considered as a glorious underground royal palace. When we are entering the cave, we seem to be lost in a fairy land in fairy tale with lots of stalactites and stalagmites in various colors. 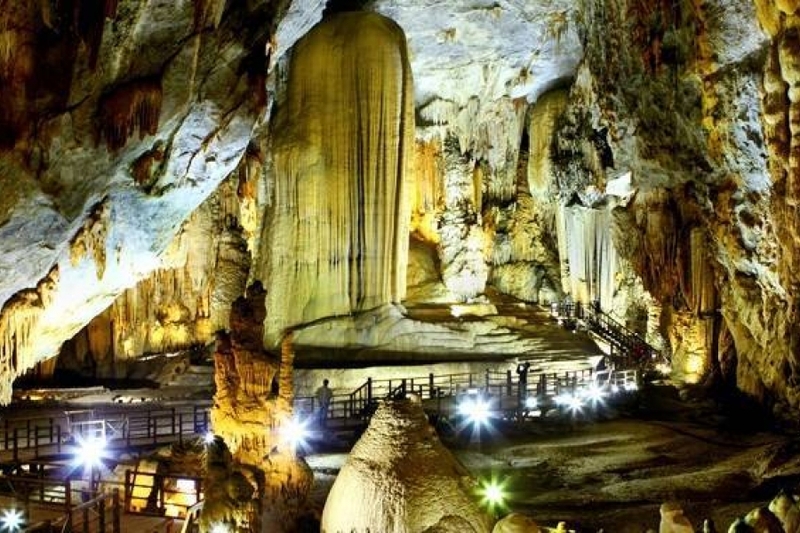 Especially, this paradise cave is the longest dry cave in Asia and attracts thousands of tourists everyday. At arriving at Paradise cave, we will get transfer by golf cart to the cave foot and from here we will walk up roughly 524 steps to discover part of Paradise cave. After 800m walk to the end of paradise cave, we will come out and go back to the car. From here, our car and tour guide will take you to a local restaurant for lunch. After all, we will take you back to the hotel and you can have free time afterwards. In the morning, we first come and meet you at the hotel and we will transfer you to Hue – the ancient capital city of Vietnam (1802-1945). On the way, we will stop at DMZ (Demilitarized Zone) for you to know more about the war that happened around DMZ in 1960′. 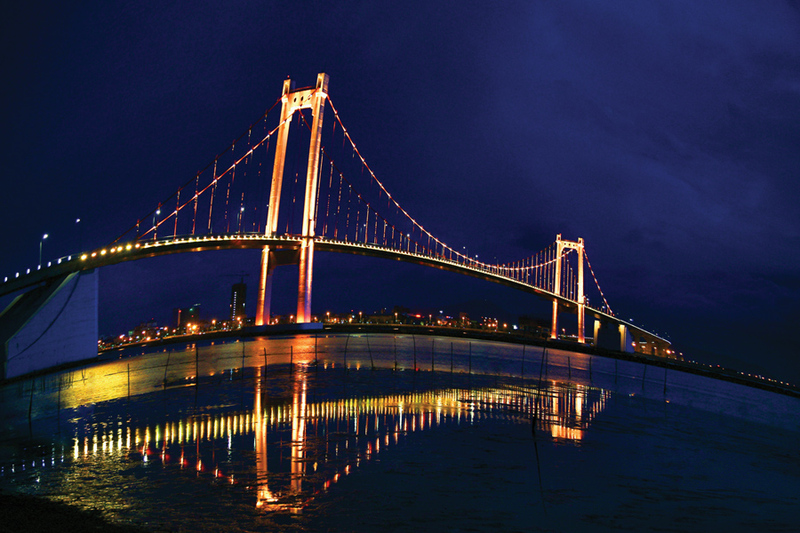 On arrival, we will wander around the site and visit Hien Luong old bridge, Ben Hai river, Museum, Watching tower and so on. According to Geneva Treaty signed in 1954, Vietnam was split into two parts: North and South. As we know, inorder to prevent supplies of weapons, food, human from North for South Vietnam; the area was heavily bombed and that caused lots of destruction. 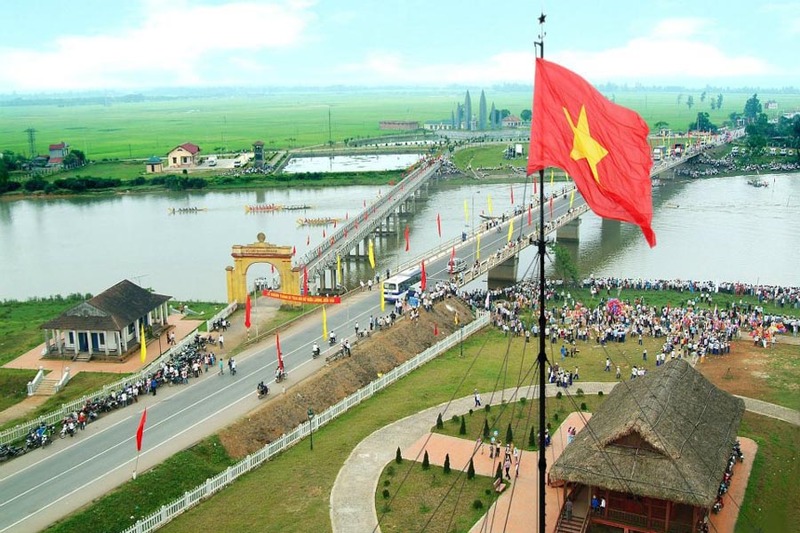 However, DMZ and some old relics remained intact after the war demonstrate bravery, endurance, intelligence of Vinh Thach people in the revolution of liberating the country. Finally, we will transfer you to Hue and then you can have free time. We will start off the day by going to a pier to take a boat cruise on the Perfume River and it will be a scenic way to explore the landscapes of the city on two banks of the river. Off the boat is a walk up to visit Thien Mu pagoda – Pagoda of Heavenly Lady. It is known as unofficial symbol of Hue. The pagoda is now a holy place for Hue people coming to pray. Following the tour by a visit to Hue Citadel – defensive and fortified sytem of Ngyen royal family. The complex cover an area of 500 ha and consists of 3 walled cities from outside to inside: Citadel, Imperial city, Forbidden city. We will then stroll around and pay a visit to Hue Imperial gate, Thai Hoa palace, Forbidden city, Truong Sanh palace, Royal theatre and so on. After that, we will take you to a local restaurant for lunch. 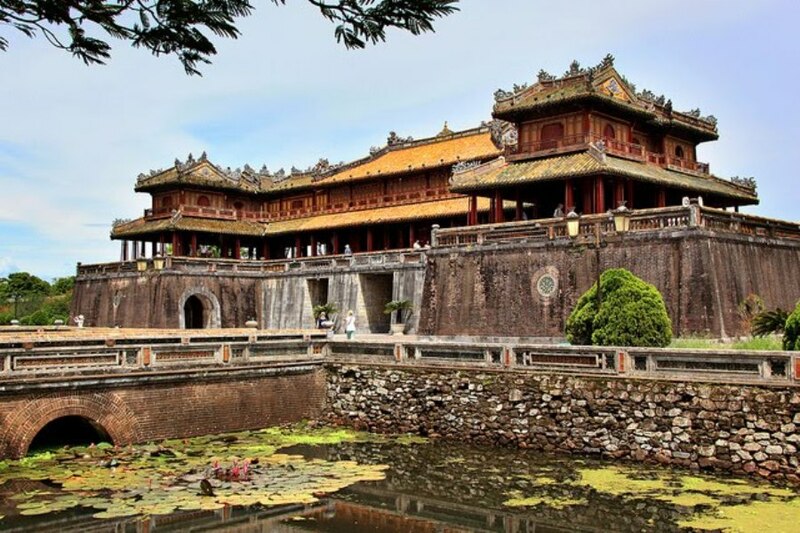 Later in the afternoon, we will continue Hue city tour by car transfer to visit Tu Duc Tomb – constructed between 1864 and 1867, and certainly one of the most impressive of the royal mausoleums. 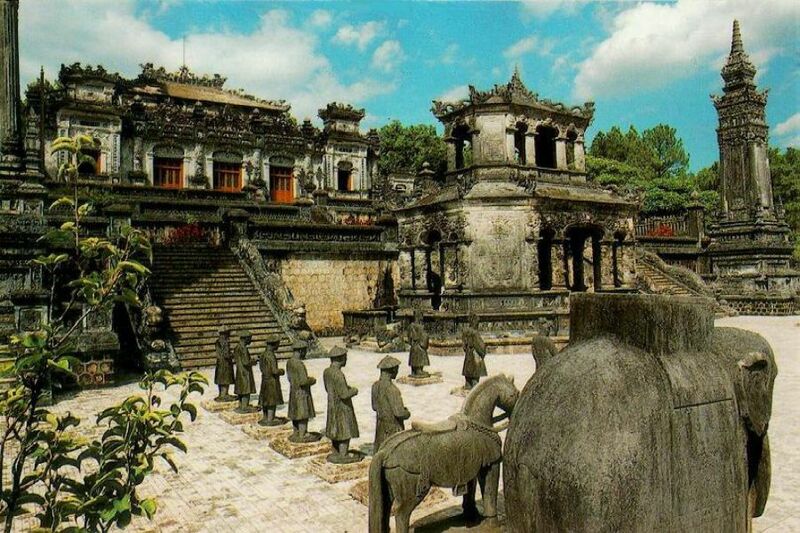 Moving on by car to visit Khai Dinh tomb – that was the last tomb built in Nguyen Dynasty and the smallest one. The tomb took 11 years (1920-1931) to be built and it was the mix up of both European and Asian architectures. After all, we will bring you back to the hotel and the rest of the day is on your own. Today, we will leave Hue for Hoi An and on the way, we pass by Cau Hai Lagoon as well as Lang Co beach and the Pass of the Ocean Clouds (Hai Van Pass). We will then stop en route at the pass for some sceneric pictures. On arriving in Da Nang, we will visit Marble Mountains with five marble peaks representing five elements in Oriental concept: Water, Wood, Fire, Metal, Earth. So, the site is popular with many Buddist temples, pagodas, caves and even Buddist monastery. We will have beautiful view when we climb up to river watching tower and a visit to Huyen Khong cave is the highlight of our tour. After all, we then go back down and then drive towards to Hoi An ancient town to check in and is at your leisure for the rest of the day. Today, we will start off with a 60km drive southwest of Hoi An in private car with English speaking guide. Thus, we will visit the capital and religious center of the former Champa kingdom. Hence, My Son, a designated a UNESCO world heritage site, has a cluster of dozens of red brick towers, temples and sanctuaries dating from the 7th and 13th centuries. Nowadays, My Son Holy land is now a must see place for all visitors from many countries. After that, we will drive back to Hoi An for lunch. In the afternoon, we will take Hoi An city tour. We will discover the historic town which used to be a prosperous seaport city during the 16th and 18th centuries. 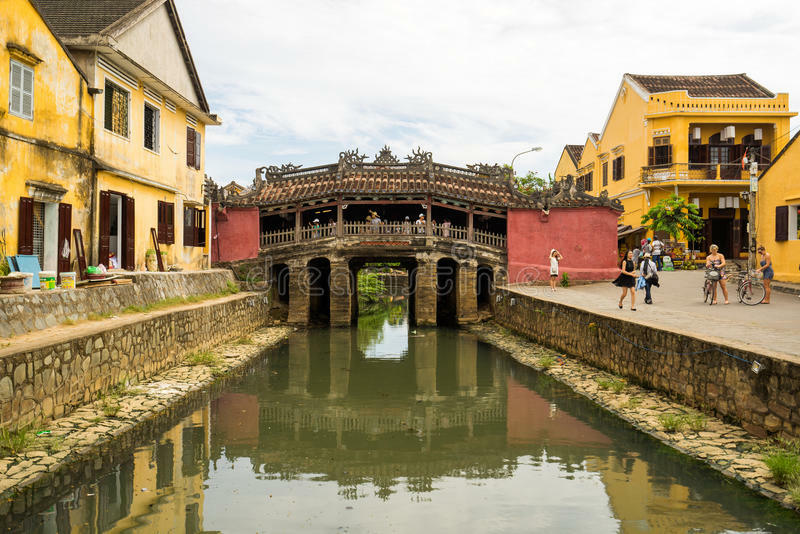 Respectively, we will visit Hoi An colorful market, Tan Ky and Duc An ancient houses to know Hoi An’s typical architecture, a Chinese Assembly Hall and the 500 –year – old Japanese covered Bridge which is symbol for Hoi An people. 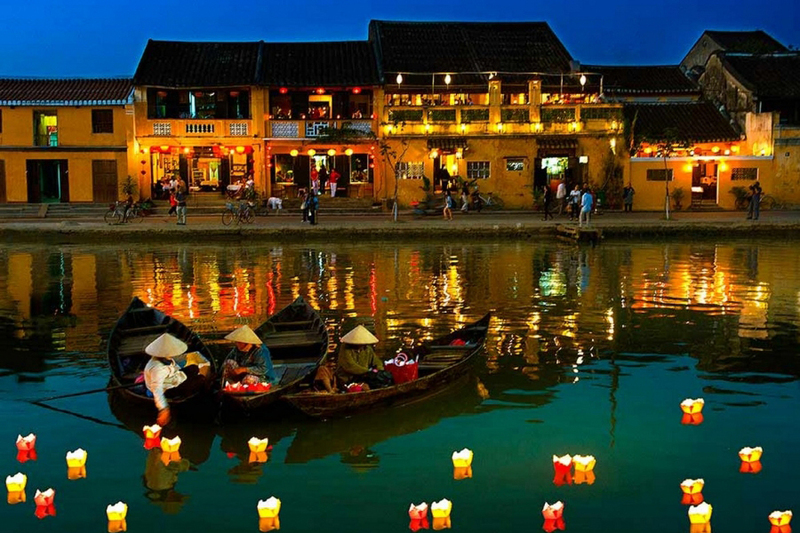 Travelers can also see Hoi An market to taste flavor of Hoi An’s specialties. 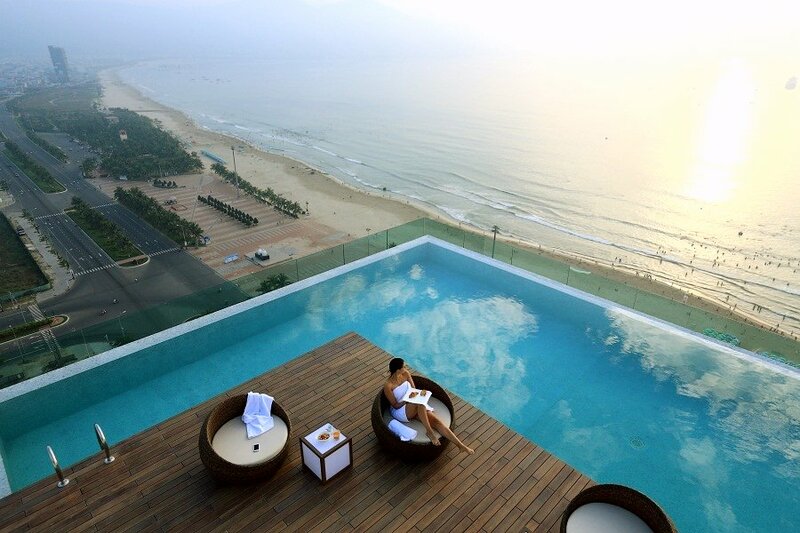 In the morning, you will check out and wait for pick up to Da Nang airport for departure flight. 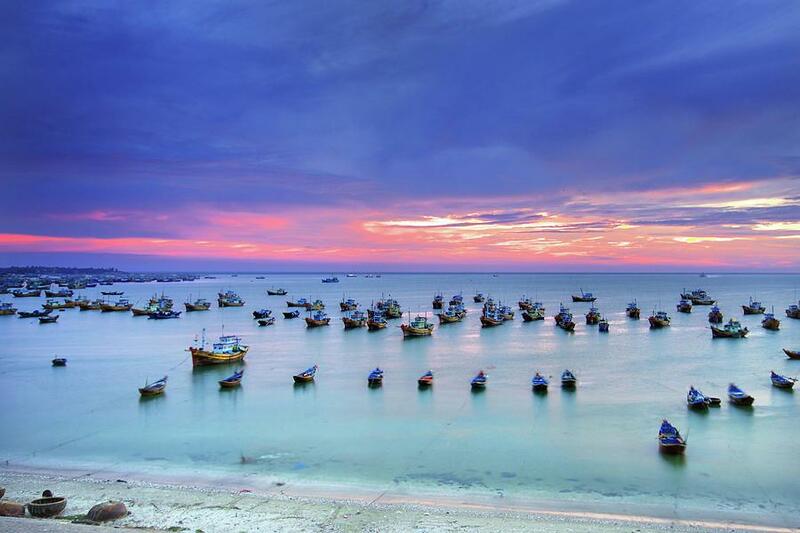 The trip Central Vietnam Package Tour will finish here. 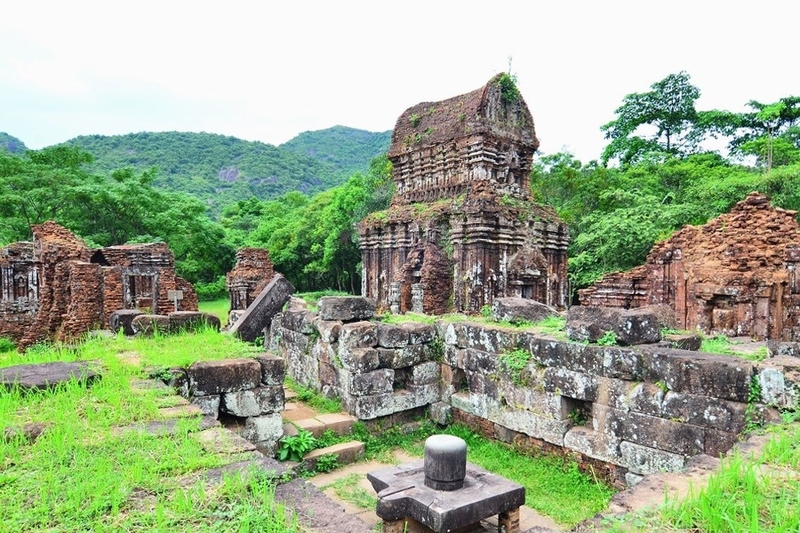 What do we offer in Central Vietnam Package Tour? Firstly, joining in this tour, we will take you to discover all fantastic sightseeing of central Vietnam: two best caves in Phong Nha National Park (Phong Nha and Paradise caves). 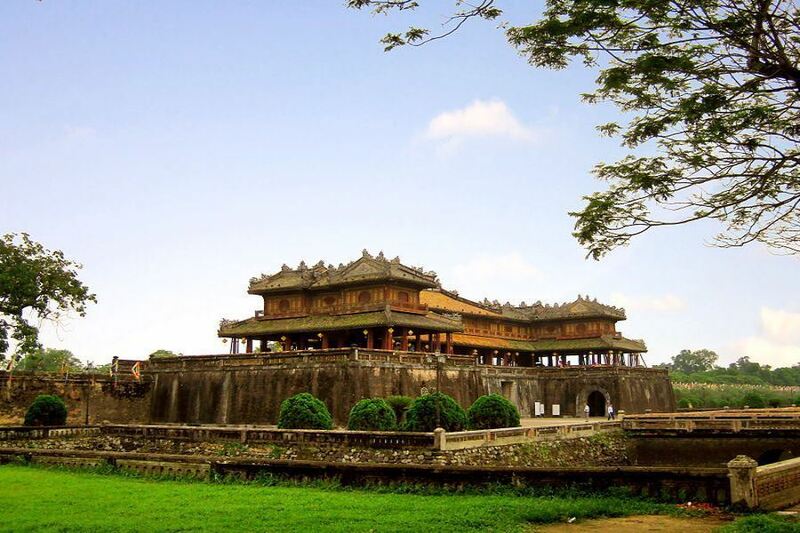 Also, we take you to a discovery of Hue ancient capital that is famous for its elaborate royal temples, tombs, palaces. Next, we got our chance to explore Hoi An city – charming town with cafes’, tailors, restaurants and to My Son Holy land – over 1,000 year old Hindu temples. Lastly, Central Vietnam Package Tour is created for your passion and for an utmost adventure. Please contact us at premiumvietnamtravel@gmail.com or Whatsapp/Viber at 0084 979613777 for more details. How to book Central Vietnam Package Tour?